Situation: Home Builders Association of Greater Des Moines (HBA), chartered in 1944, is a nonprofit trade association representing more than 500 members who employ more than 20,000 people in the Des Moines metro. HBA members include residential builders, remodelers and businesses related to the housing industry. HBA is affiliated with National Association of Home Builders. Strategy & tactics: HBA retained Hanser & Associates in 2013 to serve as agency of record, providing all public relations and marketing communication for the association and its three major annual events. The firm worked with HBA’s executive team, board and committees to refine their strategy and message platform to build business for member builders and remodelers. 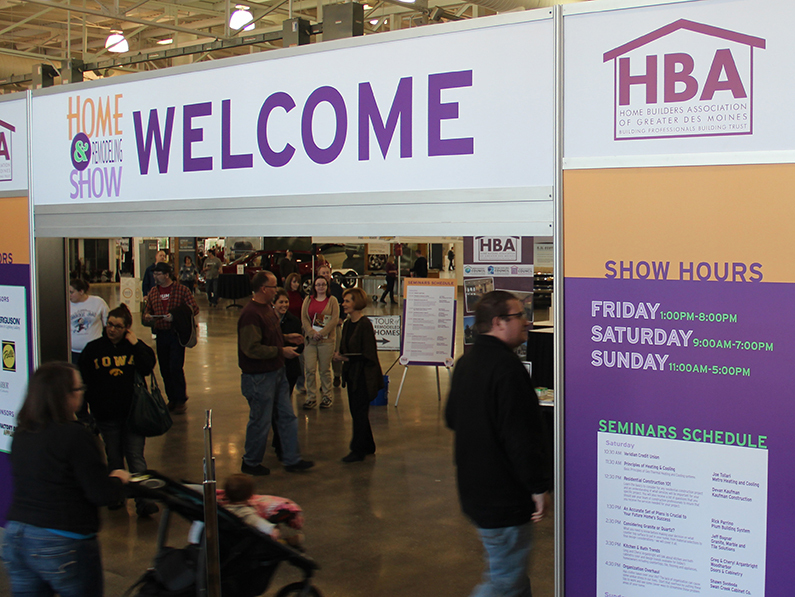 We executed a comprehensive communication program that includes media relations, social media and advertising for HBA’s three major annual events: Home & Remodeling Show in March, Home Show Expo in July and Tour of Remodeled Homes in September. Results: The promotion of HBA’s three events was a huge success, generating record news coverage and strong attendance among Central Iowa homeowners seeking experts, ideas and inspiration. For example, attendance for Home Show Expo in 2014 rose to 12,000 and news coverage totaled more than one million impressions. We also helped increase community engagement and sponsorship – such as new HBA partner, Greater Des Moines Habitat for Humanity, which constructed full-scale homes at Home & Remodeling Show and HomeShowExpo illustrating how Iowans progress from rental properties to ownership of quality homes.